Providing you the best range of brown brush colored stainless steel sheet with effective & timely delivery. With the assistance of our team of professionals, we are engrossed in offering an assorted assortment of Colored Stainless Steel Sheet. These sheets can be used for different applications like interior cladding, escalator and building facades. The provided sheets are precisely engineered in adherence with international parameters using high quality raw material and leading-edge technology. Moreover, these sheets are obtainable in different specifications as per the demands of customers. 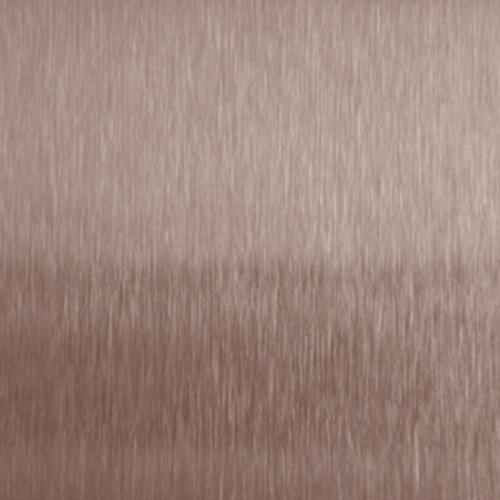 Looking for “Brush Finish Stainless Steel Sheets Colored”?